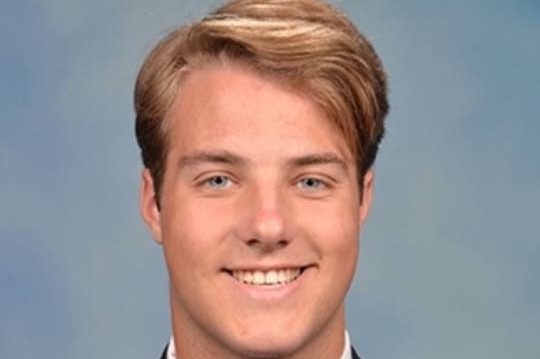 Anthony Galante, Chaminade class of 2017, was critically injured in a car accident on 12/2/18. This GoFundMe will be a way to help his family pay for costs related to his care and support. Thank you you for your kindness and generosity at this extremely difficult time. The day has finally come for Anthony to go home!!! It has been 81 days since this horrific tragedy struck the Galante family. There is no doubt that all your continued prayers, thoughts, letters, gifts, and generosity have helped incredibly to get Anthony to where he is today. The funds raised have helped the Galante family in countless ways. $12,000 on a helicopter to transport Anthony from St. Mary’s Hospital in PA to Northshore University hospital in NY that insurance would not cover. Daily hotel & meal costs for Kim & Frank over the last 2.5 months while Anthony was in Rehab in NJ. Ambulette transports from NJ to NY 2x/week for two months for appointments with NY specialists. Medical equipment not covered by insurance. Modifications made to the Galante home to accommodate Anthony’s bedroom on the first floor. The costs of this entire ordeal have been astronomical. All of your help has gone an extremely long way in making things a bit easier for the Galante family and will never be forgotten. We ask that you continue to pray for Anthony and the other victims of this tragedy. That they all make a full recovery and live a happy, fulfilled life. Today Anthony had a big day with lots of friends and family gathered around him. He was smiling and talking and taking it all in. Although he has a long road ahead, Anthony is making great progress at Kessler Institute. Keep praying for him!! Thank you all. Anthony was moved to the Kessler Institute for Rehabilitation in New Jersey yesterday. He receives hours of therapy each day. The therapists and staff at Kessler are very professional and attentive. We are very hopeful that Anthony will make great strides in the coming weeks. Anthony has been progressing. He has been breathing on his own for the most part over the past week but still has the trache in for assistance. His eyes are open and he is alert at times. Internal bleeding has stopped and the surgeries on his legs and hands are healing as well as his broken ribs. The main focus right now will be healing his traumatic brain injury which will take a lot of time and require extensive rehab. He will be transferred to a neuro rehab hospital soon where he will receive the care he needs to regain full brain function and to provide the physical therapy needed for full recovery of his other injuries. Hope you all had a beautiful holiday. Thank you for all of your prayers. Please keep praying for Anthony.